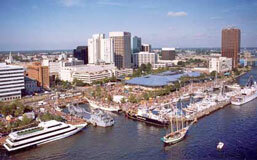 Founders Inn and Spa is one of the nicest Virginia Beach hotels. Situated on 26 landscaped acres, it offers 240 luxurious guest rooms and suites combining the warmth of a country inn with Colonial-era architecture. The Founders Inn has indoor/outdoor pools, a fitness center, lakeside gardens, and three dining options: the casual Hunt Room (colonial-style food, ales and wine), the Swan Terrace Restaurant (authentic colonial favorites and American regional dishes) and the Muffin Pan (pastries, deli sandwiches and desserts). 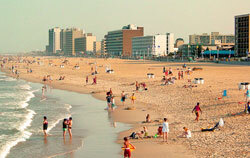 The hotel is located in Virginia Beach, Virginia about 15 miles from the oceanfront, at 5641 Indian River Road. Map. The Founders Inn is adjacent to Regent University and the Christian Broadcasting Network (CBN).